Where exactly did these trials take place? What was the main reason behind them? And most importantly, was there really any form of witchcraft being practiced by the accused? For about three centuries, many questions on the infamous witch hunts in Salem, Massachusetts, have gone unanswered. People have always wondered: Where exactly did these trials take place? What was the main reason behind thes witch hunts? And most importantly, was there really any form of witchcraft being practiced by the accused? 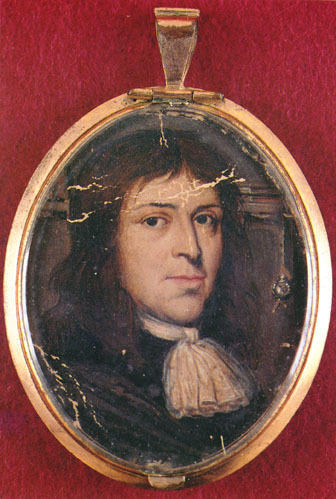 The master in question, Reverend Samuel Parris, was a Puritan Christian, whose daughter started having mysterious fits with heavy doses of screaming and crying, one day. Next was the Reverend's friend Thomas Putnam, whose daughter too began to experience random bouts of fits and seizures followed by shrieking, headaches, and hysteria. When the afflicted young girl named Putnam's neighbor, Rebecca Nurse, a Puritan Christian lady herself, the real motive behind the witch-hunts came to light. 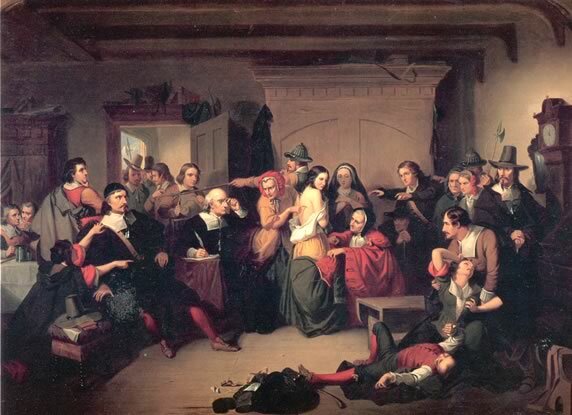 It was found that influential members of society like Reverend Parris and Thomas Putnam were indirectly feeding the accused names to their daughters, names of who they thought should be put on a witch trial. Putnam had a vested interest in Nurse's property, which was bordering on his lands, and wanted to settle scores with the 70-year-old saintly woman over age-old property disputes. “The lightning speed at which fear traveled is extraordinary,” Stacy Schiff, an expert on the subject featured on the episode and the author of 'The Witches: Salem, 1692', said. "Once the afflicted girls began convulsing and shrieking involuntarily, there was no stopping them." When Salem's power structure completely shifted towards the afflicted girls, in order to make their accusations more believable, these teenage girls would pretend to see apparitions and paranormal sights in the presence of the accused. After a point, a new rule was made where the accused could be exempted from the trials, but only after they named two or three other people who might be practicing witchcraft, giving rise to betrayals between not only neighbors but also family members. Out of the 19 odd people who were tried and executed for witchcraft was John Proctor, a wealthy farmer who was also a Puritan Christian. However, he would go down in history as the first male to be accused of being a witch, considering witches were presumed to be women throughout history. His execution was another example of how the Salem witch trials were being used as a cover up for different activities altogether. Proctor's troubles began when his housemaid, Mary Warren, was accused of witchcraft by the afflicted girls, who were trying to establish their power over the mere mortals around them. Warren, who was being sexually abused by Proctor at the time, decided to take matters into her own hands and so, a few days later, started complaining about experiencing terrible fits and headaches, all symptoms of witchcraft being practiced on her. Proctor decided to literally "beat the devil out of her", but when that did not work, it came to the notice of Parris and Putnam's daughters. When asked about her assailants, Warren aptly named her employers, Proctor and his wife Elizabeth, as the people practicing witchcraft, which led the couple being thrown into jail. Since Elizabeth was pregnant, she was let go, but her husband was not so lucky and had to suffer death by hanging. With people naming more and more acquaintances to escape the death penalty themselves, the jails in Massachusetts began filling up with accused people awaiting trial. However, once the government caught a whiff of the inhuman treatment meted out to people under the guise of religious cleansing, it ordered for the release of all accused men, women and children from prison. However, given that the government knew of its gross negligence in handling something as serious as rampant hangings in the region of Salem, it decided to cover up what is considered to be one of America's darkest period for humanity. “All trials were halted, publications about the terror were officially banned, and the location of the execution site vanished from any records,” said the show’s preview. More than three centuries later, researchers found the hidden gravesite of the Salem witch trials was located in Gallows Hill, after months of digital reconstruction of land maps from the 1960s. The execution site has now been turned into a memorial for all the 19 people who sadly lost their lives to the various personal vendettas of people in power, or just people looking for survival in those difficult times. Maybe now they will finally be able to rest in peace.